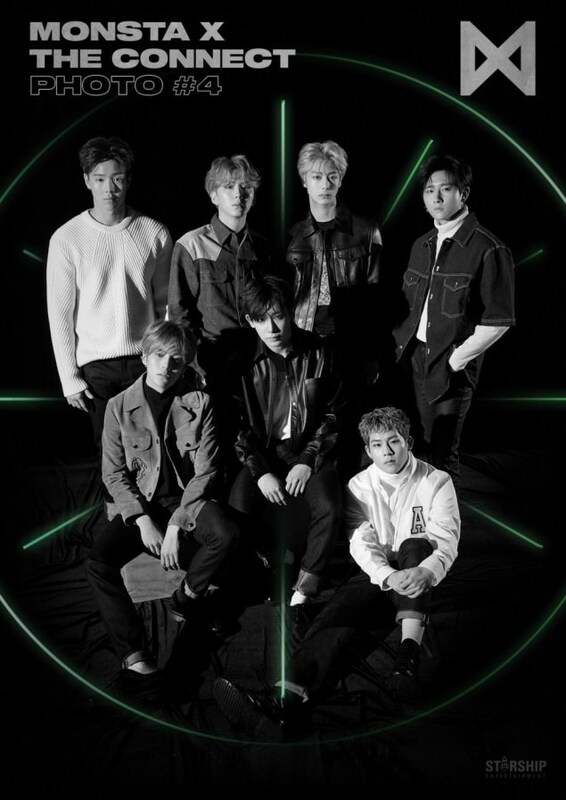 After savoring the sweet taste of success with last year's� "Dramarama" hitting number 7 on Billboard's World Digital Song Sales chart, MONSTA X complete the coming of age story begun in 'The Code. 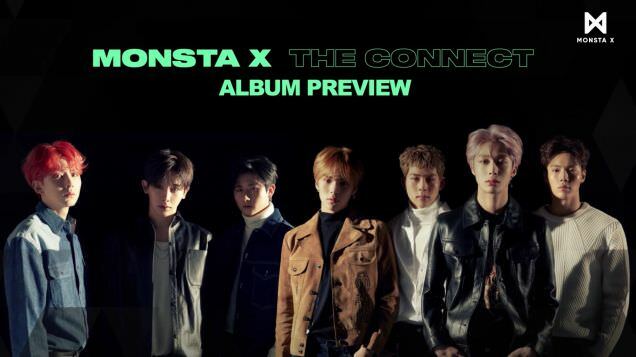 '� 'The Connect: Deja Vu' is their 6th mini-album, consisting of seven songs, including the title track "Jealousy." Speaking of that, the song about the green monster is the first track on the EP. 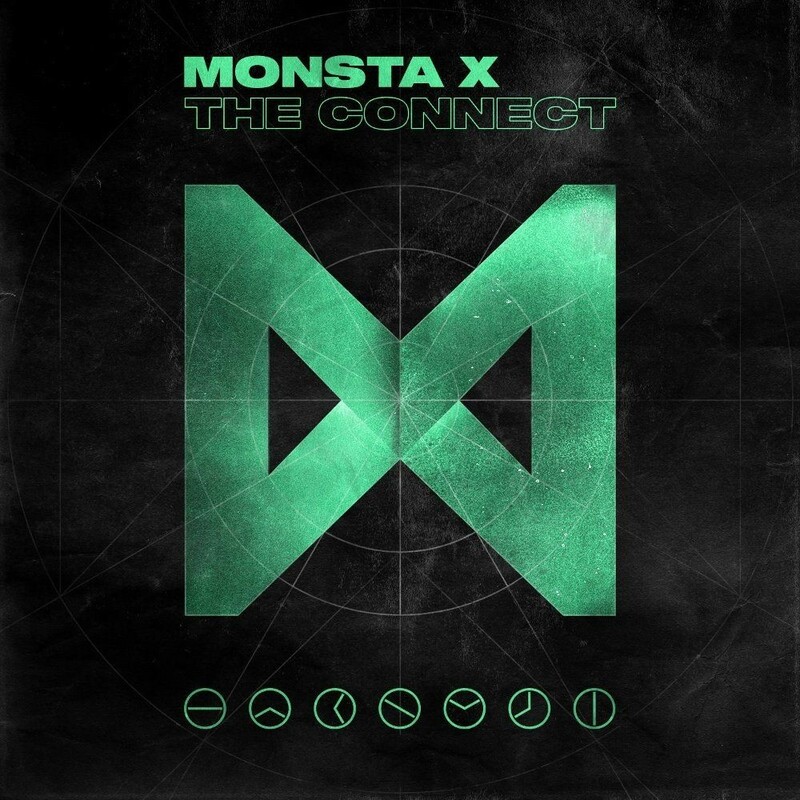 It's very definitely R&B, with smoother transitions than you'd expect from a MONSTA X track. It's not bad, but it is different. The more I listened to it, the more I liked it. "Destroyer" starts out slow, but develops into a kickin' club banger. It's hip-hop-tinged, with some wonderful expansive vocal work on the chorus. The backing track and breakdowns are awesome. Way more my style, the loud hip-hop track "Fallin'" features noisy synths, playful rapping, autotuned down-pitched vocals, and is just a lot of fun. You can say I've fallen for this track. 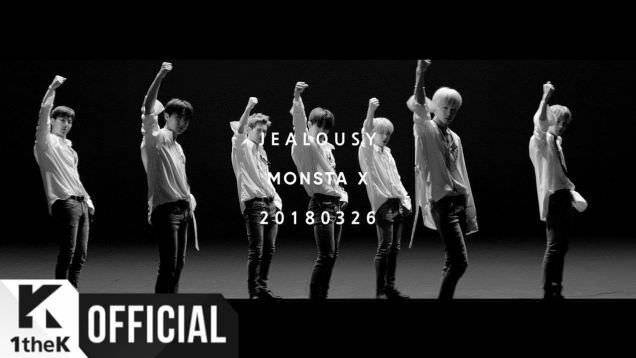 "Special" brings it back to the style that got me into MONSTA X in the first place. This track by Jooheon is roaring and rowdy, despite the inconspicuous beginning. It's an intense tune, with fantastic hooks. This EP is filled with ups and downs. Like a sonic roller coaster, it brings you to sonorous highs and then to a soft landing with smooth lows. Some of the lighter tunes are more than matched by the booming synths and the thundering choruses in others. If you're a Mon Bebe, you'll want to connect with this one. The MV has some of the dynamic imagery that we've come to expect from this band. From strange symbols on paper to the members silhouetted against bloom effects, to the boys being driven apart by their environments�to motorbikes circling the members. In the end, though, you can see that they stand together, before breaking apart the group as the video ends. The boys dance quite well. I wasn't a fan at first, as it was slow, if graceful. But later sequences kicked it up a notch and they were killing the moves. The choreo was very well done, with leaps, bends and bold movements. There was no shortage of awesomeness here. And they didn't need a whole lot of fancy effects to do it, just an eye for what is interesting and what will draw the eye. Combine that with MONSTA X's natural charisma and you have the makings of a superb MV.